Could it be third time a charm for Hillary Clinton? The "will she, won't she" debate was revived this week when a former adviser said the two-time presidential candidate will run again for the White House in 2020. While there is always a chance she could conjure up a victory, it is more likely a hat-trick of defeats would show the former first lady's ambitions are cursed. Ms Clinton, herself, has been coy on the subject. She denied in October she would launch another bid - before admitting a moment later: "Well, I'd like to be president." It's that burning desire that means another presidential campaign from the 71-year-old can never be ruled out. That, and presumably the ardent wish to exact revenge on Donald Trump and the "deplorables" who continue to chant "lock her up" at rallies. "The pain of losing to Trump makes it [another run] possible," says Brendon O'Connor, associate professor in American politics at the United States Studies Centre at the University of Sydney. There are other, more strategic reasons to make a case for another White House bid. Supporters say she has had two years to analyse what went wrong in her failed campaign against Mr Trump. They remind you that she received 62,523,126 votes in the last election, the second largest number of votes in history. But it is her experience that would also weigh her down in a third presidential race. "She has too much baggage," Prof O'Connor said. "She is a poor campaigner and too compromised by her past decisions and associations, and those weaknesses cannot be overcome. Her experience mattered too little in 2016 and might again in 2020." One of the most significant changes to the societal - and therefore political - landscape since the last election has been the #MeToo movement. While Mr Trump has railed against the litany of sexual misconduct allegations, the campaign means there will likely be more than one prominent female candidate running in 2020. Senators Kamala Harris, Kirsten Gillibrand, and Elizabeth Warren are being touted as likely contenders. Ms Gillibrand (51) has said that the political energy among Democratic women this year far exceeded anything she saw in 2016. "It will carry over to the presidential race," Ms Gillibrand said. "You'll have many women running. It's not going to be just one woman running." But will one of those women be Ms Clinton? At best, it would seem a long shot - and one that could backfire. Her approval rating hasn't risen above 38pc since the election and she continues to be the electric prod used by the US president to stir up his supporters at rallies. 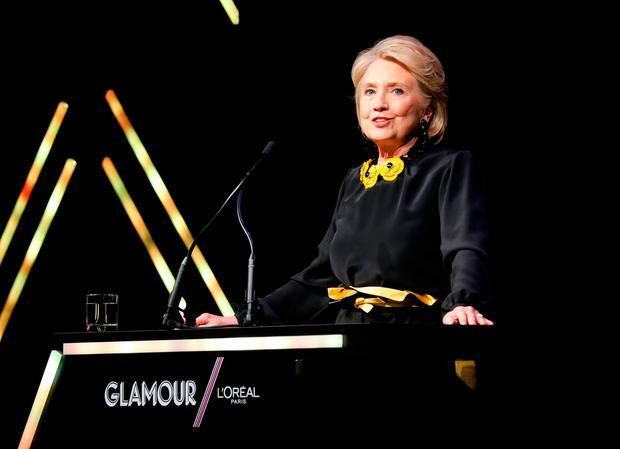 "Clinton is such a polarising figure, and her 2016 campaign was such a polarising event, that her reappearance on the political stage is sure to revive old scandals and ignite fresh inquiries into her personal and public life," said Michael Brenes, author of the forthcoming book 'The Price of Loyalty: Hubert Humphrey, Lyndon Johnson, and the Struggle for the Soul of the Democratic Party'. "Hillary represents not just a politics, but a political era that is gone. No matter how Hillary tries to remake herself into a candidate of the left, her history will follow her. She will be unable to escape her past and the fallout from the 2016 election. The political climate in 2020 is therefore sure to be inhospitable for a Clinton run."